Our experienced faculty provide an overview of the new Congress and explore how major issues are likely to fare in the first session of the new Congress. 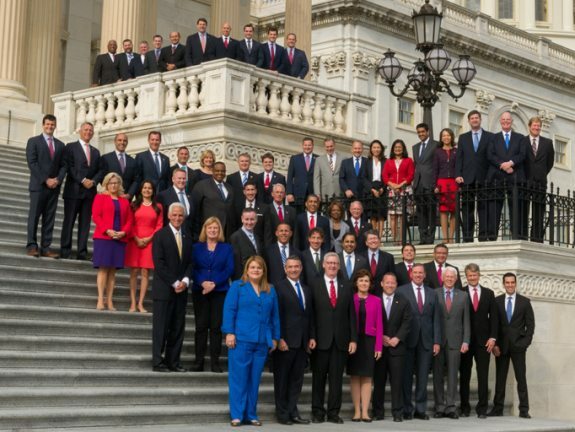 The New Congress is held in January or February of every odd-numbered year. TheCapitol.Net also hosts an informative update course between the two sessions of each Congress, held in January of even-numbered years. This sponsored course is tailored for your group's specific needs. The program fee for sponsored courses includes program development, faculty, materials, and classroom space in the DC area for up to 20 attendees (the program fee also includes AV, breaks and lunch). * We will contact you after we receive your registration to finalize details. See the FAQs About Sponsored Courses for more information. Government agencies: please see the GSA Schedule for our GSA contract pricing. Bring this course to your location. This course and any combination of its topics are available as custom on-site training for your organization. We can tailor this program for agencies, military, businesses, and NGOs. For more information about how this training can help your members and staff, please contact our client liaison. Not enough people for a sponsored or custom course? This is a preliminary agenda: topics may differ slightly. This course is also available as a custom, on-site program. Do you need a training course we don't offer or coverage of an additional topic in this course? If you have suggestions for courses or topics you would like to see us offer, please contact us or complete our online suggestion form. 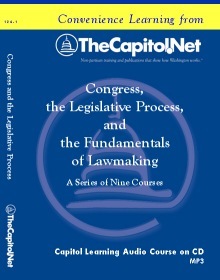 Suggested Prerequisites This course is designed for anyone who must work with the new Congress. If you need help deciding which courses you should take based on your work experience or training, please contact us via email or phone: 202-678-1600. For a map with a brief list of hotels near the Capitol, click here. When we arrange space, we use these Washington, DC, locations. Course Materials Course materials include the then-available Congressional Directory. A Certificate of Training is available for this course. To get a Certificate of Training, your registration fee must be paid in full, and you must attend the entire course. Approved for .6 CEUs from George Mason University. All statements and discussion at all of our courses, workshops and seminars, public and custom, are off the record and not for attribution, unless specified otherwise. The resulting confidentiality ensures a frank and free exchange of views. FAQs FAQs about our sponsored courses including suggested attire. The program fee includes program development, faculty, materials, and classroom space in the DC area for up to 20 attendees (the program fee also includes AV, breaks and lunch). We will contact you after we receive your registration to finalize details. Registration and payment at least 3 weeks before the course is required so the program can be customized for your specific needs. For more information see FAQs About Our Sponsored Courses. * = There is a discount if you provide classroom space in the DC area, AV, breaks and lunch. This course can be also presented outside the DC area. Contact us for details. Fax or Mail: Print out and complete the registration form (in Adobe pdf). The completed form should include your method of payment. Fax the completed form to us at 202-688-2424. Available as custom, on-site training? Yes. 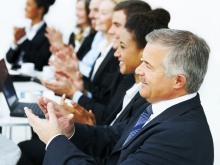 This program can be tailored for on-site agency, association and corporate training. Please call 202-678-1600 for information. Complete our online information request. All of our courses and workshops include extensive interaction with our faculty, making our courses and workshops both educational and mini-consulting sessions with substantive experts. "Great program and I will recommend to others at EPA!" See testimonials about our training. A team of more than 5 experts, each with at least 10 years' experience in observing or working with or in Congress, teach this intensive course.